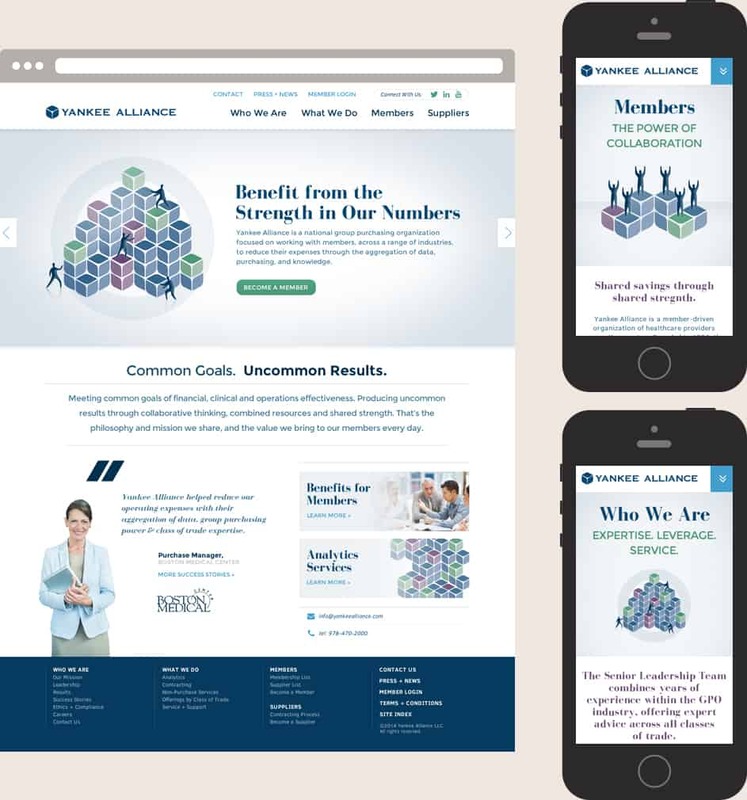 Yankee Alliance, a national organization that serves healthcare providers, had an idea for a way to enable its members to reduce expenses through group purchasing—it just needed to develop the right online tool. The resulting, new responsive website establishes a communication hub across the healthcare and food service niches, following a B2B2C model that makes possible mutually beneficial service and product delivery channels. A series of illustrations incorporating the mark of the Yankee Alliance logo support the core messaging.